Cool race swag NEVER gets old! 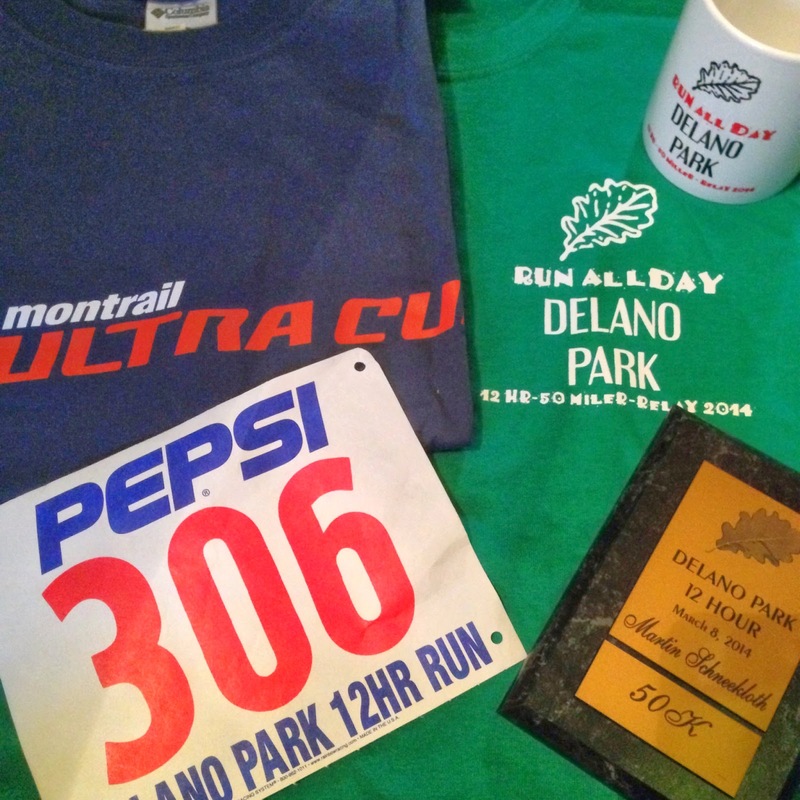 The Delano Park 12 Hour Race has become an annual tradition for my wife and I. While neither of our most recent training regimens had really prepared us to run for 12 hours, we do go every year to have fun, meet up with friends and get in some miles along the way. As always RD Jon Elmore and his wife along with a great team of River City Runners volunteers put on another fantastic event. Special props to the weather as well, it was perfect. I had decided earlier in the week that I would treat Delano as a 50K training race. It was only my third ultra since coming back from some health issues and while I had been having some solid training runs, my base wasn't what it needed to be for me to run for 12 hours without risking injury or having to take off from training for a week after the event. I figured a solid 50K would be a great goal, especially as my prime event for this year is going to be my third attempt at the Pinhoti 100 in November. I plan to treat every race until that date as a training run and there was really no reason to push distance at this stage of my training. So while I had set a distance for this day, I was still wrangling with a time goal, not for any purposes other than keep me motivated and focused while out there running laps. So the day before, I started playing with the pace calculator at coolrunning.com and after plugging in different times, I decided to shoot for an average pace of sub 10 min miles. I wasn't confident that I could hold it, but why set goals if you know they're easy. My wife and I got to the race start around 5:15AM and the place was already packed with runners jockeying for parking spots close to the "track". I managed to grab the last "good" spot where I was able to back up our SUV to the track and set up a canopy right next to the track. After greeting some fellow runners, Anya and I huddled up in the car for a few more minutes before the start of the race. The race started as planned and we all got going. I was trying to decide whether I would try to run with my wife or Jerry or Cary or Benj or Greg, but after just one loop I quickly realized that everyone was going to be running very different races. Some of us were running the 50 mile distance, others were going for 12 hours, yet others were going for 50K. 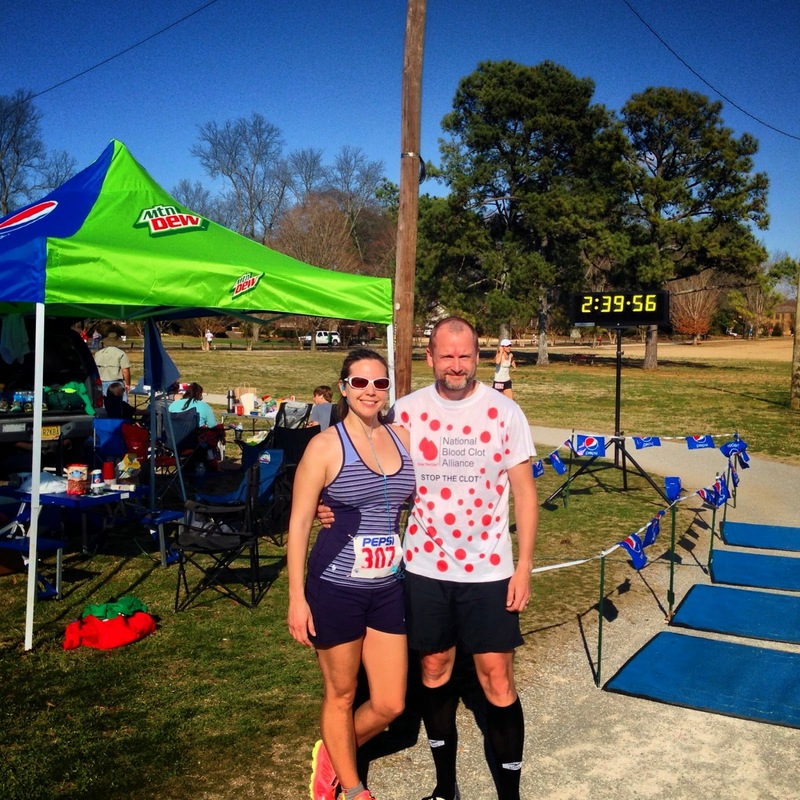 On that note, a huge congratulations to Benj's dad for completing his first 50K ultra marathon! Freakin' awesome!!! While I am congratulating folks, a special congrats goes out to my wife, who has now completed at least 50K at each of the last three Delano events. Not too shabby, baby! So I set out to get settled in my target pace, just under 10 minutes. While I did go closer to 9 min miles, I slowly adjusted my pace to hit the goal pace. I decided to run 10 miles, then eat a honey stinger gel and drink a bottle of fluids ad then continue, and then rinse and repeat. I did that and my pace stayed consistently on target, until just after mile 26 or 27. I started to slow down because I required more water breaks as the day was heating up. That meant longer walks to stop the slushing in my stomach after guzzling down and entire bottle of Gatorade. But I kept my eyes on the prize, whenever my overall pace started to click closer to 9:50 pace, I started running again, always with the goal to get back to that target pace and for the most part, I succeeded on every lap. When I finally crossed the finish line, The clock showed 5 hours 7 minutes for the 50K distance, which is likely an all-time unofficial PR for me, since I never raced that distance before on a flat course. Considering my current situation fitness wise, I consider this great progress! Goal reached! On a final note, congrats to my buddy Cary Long, who dealt with some serious knee issues and still managed to reach his 50 mile goal for the day. I can't wait to crew you to your first 100 mile finish at the Thunder Rock 100, buddy! Congrats to my training buddy Jerry Abbott, who also finished the 50 mile distance just like he planned. Again, looking forward to crewing and pacing you at the Double Tap 100 next weekend! It's gonna be awesome! Congratulations to Gregg Ellis for hitting his target. He's been coming back from a serious injury as well and he's been running like nothing ever happened, just amazing! Finally, congratulations to all the top performers, especially Rob Youngren, DeWayne Satterfield and Beth McCurdy. You guys are what many of us runners aspire to and I fell pretty lucky to have been introduced to ultrarunning being able to sharing the trails with you. As my bother captioned this photo on FB "The Beauty and the Beast"
Don't forget, March is Blood Clot Awareness Month. Hit me up if you'd like more information on how to recognize this often silent killer or if you'd like to find out how to do more to raise awareness of this cause. I never tire of talking about it, so if you see me at a race, please ask me about it. I work with the National Blood Clot Alliance as part of their team of NAThletes (endurance athletes that participate in various running, cycling and swimming events) in their campaign to "Stop The Clot". I'd like to make as many people as possible aware of the risks of DVTs and PEs. Believe it or not, but endurance athletes in particular are in a high risk group, especially immediately following a big endurance event. Shoot me a message or comment and I will gladly provide more information. See you on the trails! 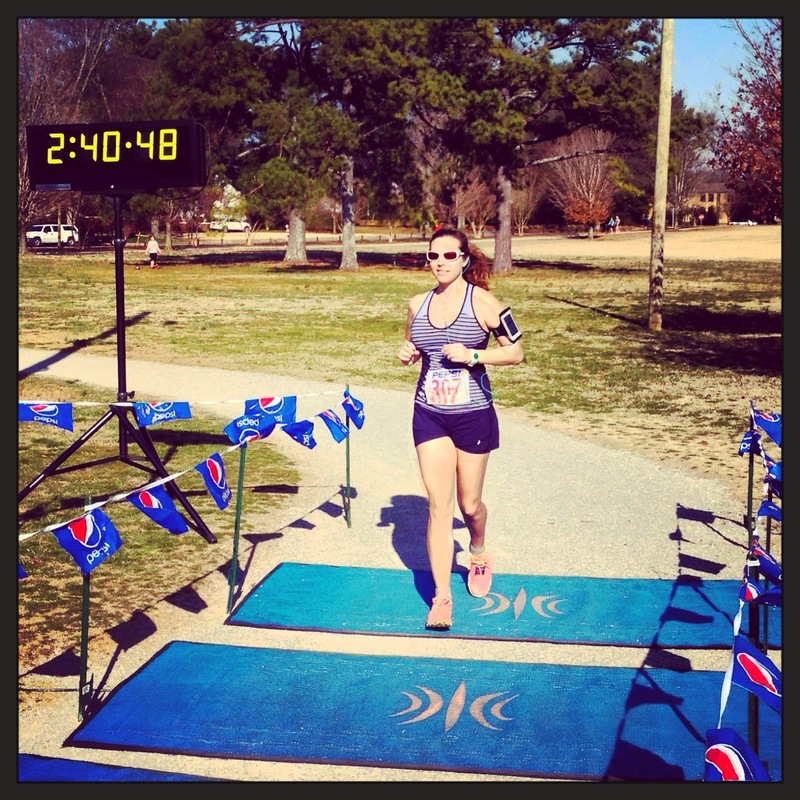 My wife completing her 50K threepeat!